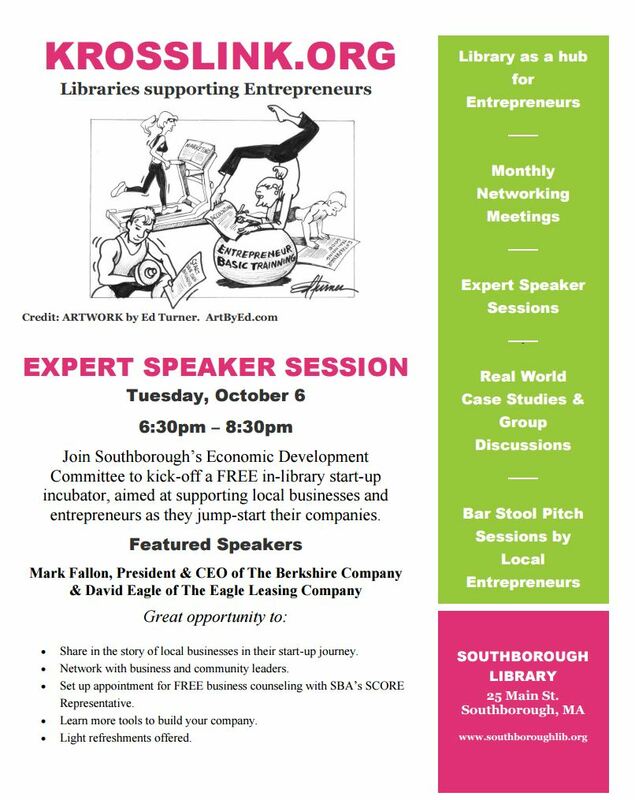 The Economic Development Committee and Southborough Library are working together to support local business. a FREE in-library start-up incubator, aimed at supporting local businesses and entrepreneurs as they jump-start their companies. 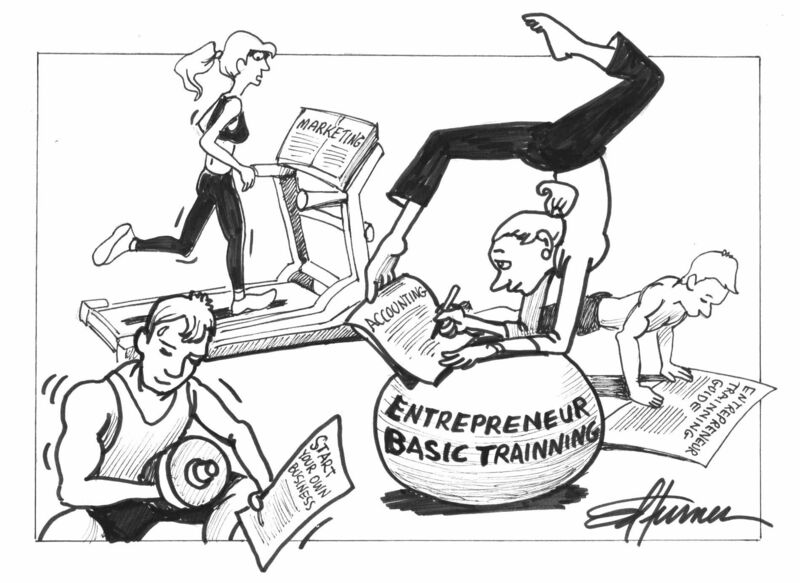 The committee is making use of support from Krosslink.Org (a volunteer-driven program to foster “Libraries Supporting Entrepreneurship”). The launch event will run from 6:30-8:30 pm. It includes speeches by business experts from The Berkshire Company and Eagle Leasing. It’s also an opportunity for networking and t0 sign up for a free business counseling session by SCORE volunteers. For more detail on the Krosslink.Org partnership and October 6th event, click the flyer.